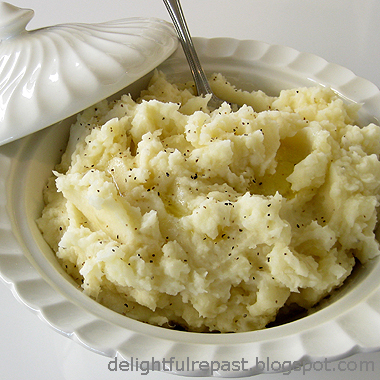 Delightful Repast: Perfect Mashed Potatoes - The Perfect Accompaniment to, Well, Everything! Thanks, Greg! AND thanks for the pin - much appreciated! Thanks, Judy! I wish I was having them now, but mashed potatoes don't really go well with rigatoni and meatballs! Now you're talking, Jean! Music to my husband's ears. He loves mashed potatoes and makes the biggest batch you've ever seen for Thanksgiving and Christmas Dinners! Pretty good too. You have such a way with bringing common sense to good old comfort food, Jean. Sue, thank you. I value common sense in all things and consider that a great compliment! Traveling in "foodie" circles as I do, I eat (and sometimes make) a lot of fancy frou-frou food; but comfort food is my favorite. I always like a tip or two for this sort of dish.. I didn't know I was supposed to dry out the potatoes, so great to know! Super! I'm glad you picked up a tip. I'm still learning tips all the time after all these years! Mashed potatoes are on of those things that I will never tire of. Thanks for the tips - I never thought to dry out the potatoes after cooking them. Will try that next time. Thanks, Lana. I think that step is new to a lot of people. Hope it works well for you. Mary, there's a word - goopy - I should have used! And my husband had one, too - gaggy! Mashed potatoes. Great dance back in another millennium. And you can shape them into a great lakebed in which to put melted butter. Alas, I do miss that (another way to eat butter). But for me it’s just a texture food that adds calories I’d rather spend on something else. Texture foods are what I call essentially neutral tastes. Bland fits in there, no-taste fits in there. If my taste buds don’t swoon or go to five alarms, it’s a texture food. Nothing personal against potatoes – hey, I’m Irish! Just not an exciting eating experience for me. If they offered some hard to get nutrient, I’d eat them as a matter of eating to live as opposed to living to eat. All that said, you make the case nicely for your love of them, Jeani. A mark of the true prose-smythe you are. And good prose is always my – um – cup of tea. Thanks, Sully - "prose-smythe." Any vehicle for more butter or sauce, etc, is an important item on MY plate! Think of "neutral" mashed potatoes as a necessary little "break" for your tastebuds between bites of five-alarm foods. I like to go a bit heavy with the salt in mashed potatoes because it's one of those things which is just perfect when you can really start to taste the salt (but not too much of course). God, the mash we used to have at school was so bad... pale, anaemic cement filled with grey lumps... yuck! I think that experience is probably what made me so careful about my own mash now! Charles, I agree. You have to use an adequate amount of salt in mash, or you might as well not make it at all. I think it's sad that more schools don't do a better job of preparing lunches the students can enjoy. Just the same as we make them. Lots of mashing by hand, with equal part love of course! Thanks, Kimm! I think it's the love that puts the comfort into comfort food! There really isn't a more comforting food than mashed potatoes in my book! And these look perfect! Thanks, Jenn! I'm having them again tonight - yay! I loooooove mashed potatoes. I could eat a huge bowl of these. Good thing Thanksgiving is coming up. The perfect excuse to whip up a batch! Thanks, Richard. As far as I'm concerned, the mashed potatoes are the most important part of the whole big deal turkey dinner! LONG LIVE MASHED POTATOES! A staple of my diet that I simply couldn't live without! Thanks, Isobel! A comment like that from a person like yourself with a sophisticated palate validates me! Hear, hear! Why not steam the potatoes instead of boiling them? You don't have to remove the excess moisture and it's faster too! Yes, that works too! There are texture issues, though, steaming them with skins off. And then there are handling-hot-potatoes issues if you steam them with skins on. Unless, of course, you leave the skins on, which some people like. But I like my mashed potatoes skinless. So that - and, mainly, just the habit of many years - is why I prefer to boil the potatoes for mashing. Thank you, Carole! I'm a mashed potato addict! Well, we make our mashed potatoes pretty much the same way only I never thought to heat the milk. Will try that next time. You are fortunate to have learned some wonderful tips from your mother. I never liked mashed potatoes growing up because my dear mother always served them simply mashed; no butter and no milk. It was only after I got married and started to experiment that I learned mashed are so much better whipped with butter and milk. The pepper is a plus too. Thanks for sharing, Jean. Sandi, thank you for checking out the potatoes as well as the post of the day! Mashed potatoes just might be my favorite food in the world, so I love to share my mashed potato hints! 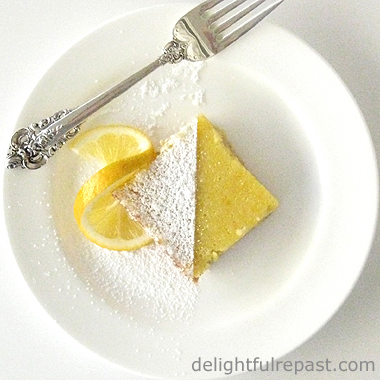 So I am swinging by today to my online cookbook to see the recipe again and get it printed up! When I need a recipe I always check here first so I found this a couple of weeks ago and wanted to thank you now I know it works so well. I do come by now and then to catch up on all the posts here but am not commenting much these days. Shame on me. It has been an "interesting" summer and so I got quiet. Hopefully soon that will change. My dear Lily, it's so good to hear from you! I have wondered about you and was on the verge of going through my email addresses so I could email you. Thank you so much for your kind words. Mashed potatoes - probably my single most favorite food in all the world - happy to "save" it for KP! I hope the rest of your summer will be less "interesting" than it's been so far. Love and hugs.